JetSuiteX announced today that its semi-private flights will now be available between private terminals at Orange County's John Wayne Airport and McCarran International Airport in Las Vegas starting the week before July 4th. Jetting from SoCal's sandy beaches to Sin City is sexier and faster with JetSuiteX, as travellers avoid congested airports and fly with an unparalleled, semi-private travel experience. "We created JetSuiteX with Orange County in mind, and we're excited to introduce our semi-private service between this area and Las Vegas, giving customers a chance to avoid long drives to Vegas in traffic and line after line after line at the airports," said Alex Wilcox, founder and CEO of JetSuiteX. "Whether people are hitting the beach or spending a quick weekend in Vegas, we understand that their time is valuable, and are delighted that JetSuiteX can save them up to an hour on each end of their trip by skipping the crowded gates, traffic and headaches, and travel in semi-private style." Travellers can enjoy a revolutionary new way to fly – arriving just 15-20 minutes before departure and avoiding lines, waiting, cattle calls and baggage carousels – with the scheduled service, affordable price and by-the-seat booking of commercial air travel. 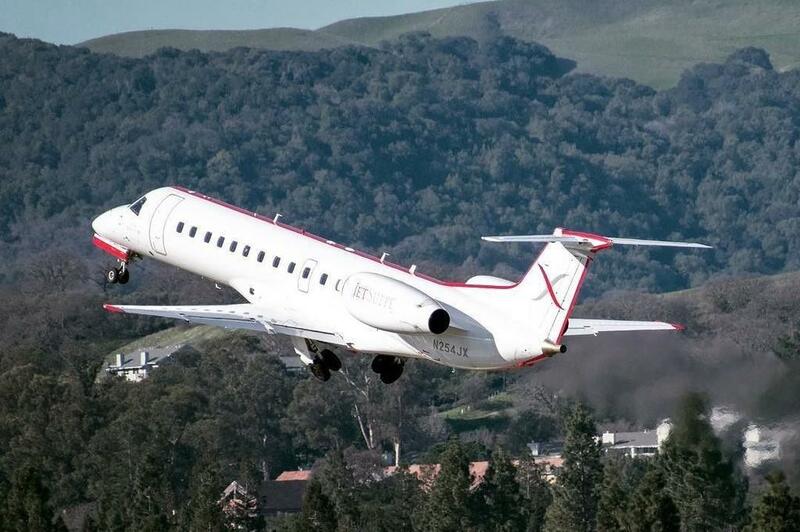 JetSuiteX also services other major West Coast destinations, with flights between Concord/East Bay (CCR), San Jose (SJC), Oakland (OAK), Reno (RNO) and Burbank (BUR). Whether Vegas residents are looking to enjoy a beach bonfire, sandy sunset or hike through the hills of Laguna, getting to their OC destination will be just as enjoyable as their stay in sunny Southern California. Residents of Orange County can cut their travel time in half and go from home to cocktails and dinner at their favourite Las Vegas hotel in less than two hours. JetSuiteX will serve Orange County with multiple-times-daily round-trips every day, and current up-to-date schedules can be found at JetSuiteX.com. All-in ticket prices start at $129 each way, including up to two pieces of baggage (up to 50lbs total weight), business class-style leg room and complimentary cocktails and snacks on-board and in the lounge.